Lions are a large and social predator forming prides of numerous individuals and acting as a formidable hunting team. 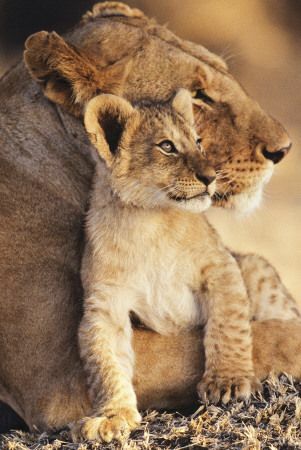 Females generally remain in their natal pride and when old enough have an average or 3-6 cubs every 2 ½ – 3 years. 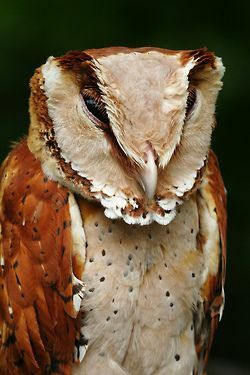 Within an enclosed area such as Pidwa, there is limited space available for such a large predator (of which both sexes are territorial) and their numbers cannot be left to increase indefinitely. 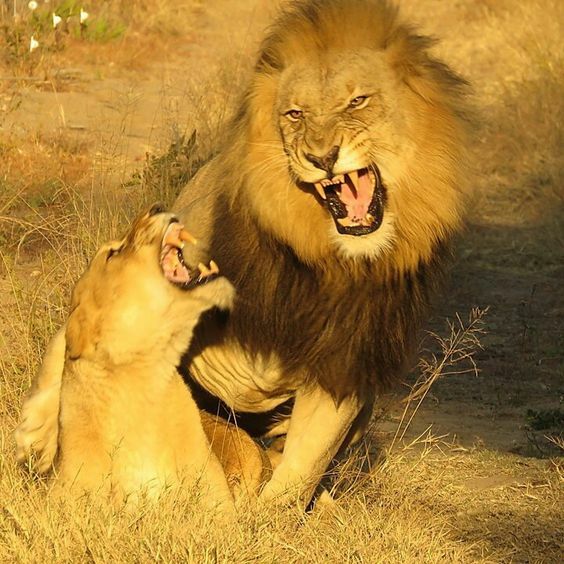 Males require a territory which they defend aggressively against other males. This territory will contain females with whom they mate, young which they must protect and obviously enough food to provide for all. Naturally young male lions must leave their natal pride between 2 and 3 years old and move to a new area to establish their own pride. On occasion they may join their father to form a coalition but commonly their own father will kill them if they do not move away. When there are literally too many lions in an area they will simply begin to kill each other. This rids the competition and ensures there is enough space and food for you, your females and young. Clearly a fenced system prevents some of these natural processes and action must be taken accordingly. Where possible, lions can be re-located to other suitable reserves. In fact however, most reserves have a similar problem and due to recent law changes it is becoming increasingly difficult to move lions. Contraception is therefore a very viable option and provides a way in which we can control lion numbers to prevent over-population and fatal intra-specific competition. 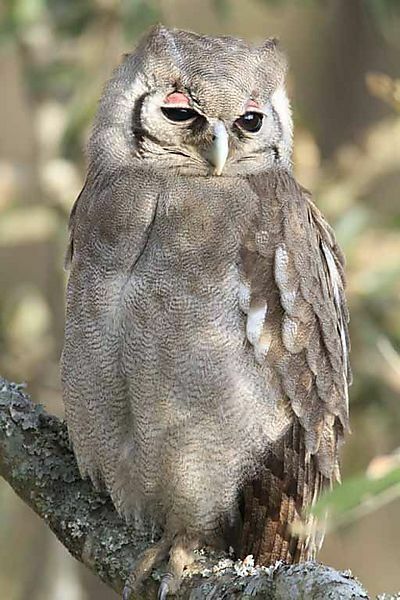 Contraception is administered to the females through a chip which is inserted by a dart. It lasts for approximately 2 years and unless given a booster after this time the female will be able to have cubs again. To ensure the correct carrying capacity for lions is sustained on Pidwa by selecting certain individuals and treating them with contraception. In collaboration with Makalali, management decisions are made as to which females should receive contraception. 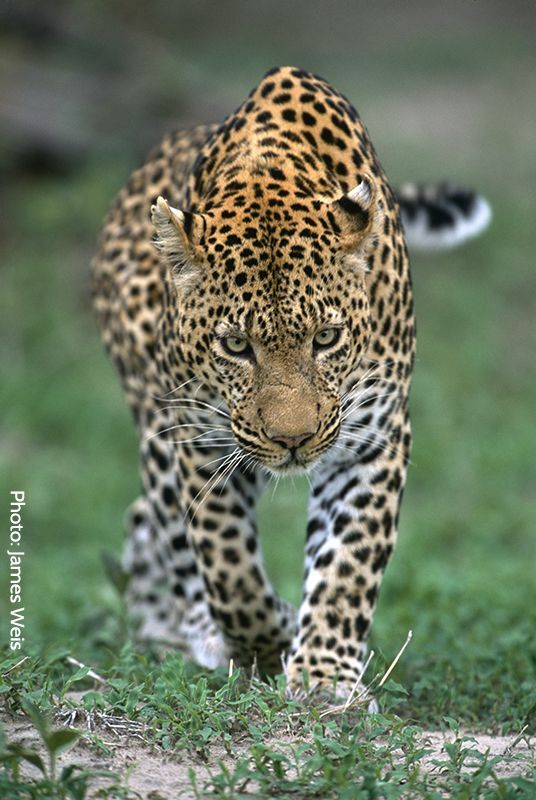 Certain females will still be able to have cubs so that natural processes continue and others will be contracepted. To carry out contraception a vet must be called, the lion darted and then anesthetised to receive the chip. 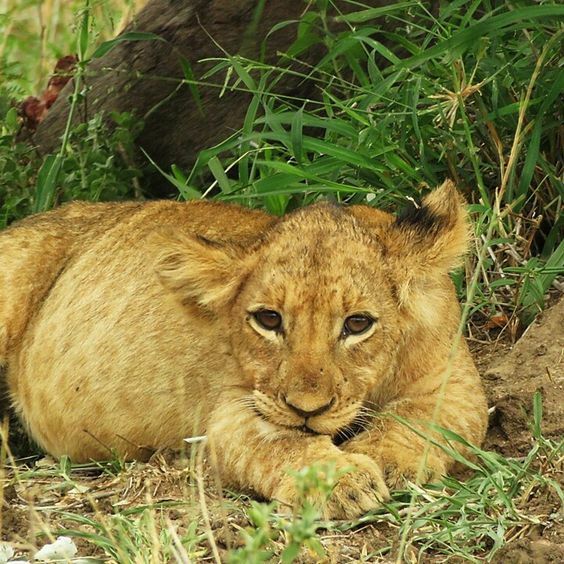 Lion location – On occasions where lionesses are due for contraception they must first be found! Volunteers join on drives within the lionesses known territories to find the individuals required. 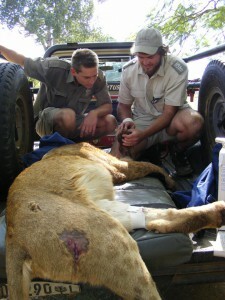 Vet assistance – Once darted by the vet, time is of the essence for the lion. Now under anaesthetic everything must be carried out as quickly as possible to prevent complications for the animal. Volunteers must be on hand to assist carrying the lion and moving it when needed as well as providing the vet with any help collecting equipment that they may need. During the most recent contraception operation Pidwa was part of ground-breaking scientific research being carried out by an Australian team of scientists. Currently the lioness must be anaesthetised to receive the chip but this team was looking into the possibilities of a new dart which would not require this. The new dart would be shot into the animal, releasing the contraceptive chip and then fall out again. This would allow the animal to run off into the bush, having not been anaesthetised but still successfully contracepted. Volunteers were able to watch the research which involved performing ultra sound scans on the lionesses to check the chip had been inserted effectively using the new dart technique.